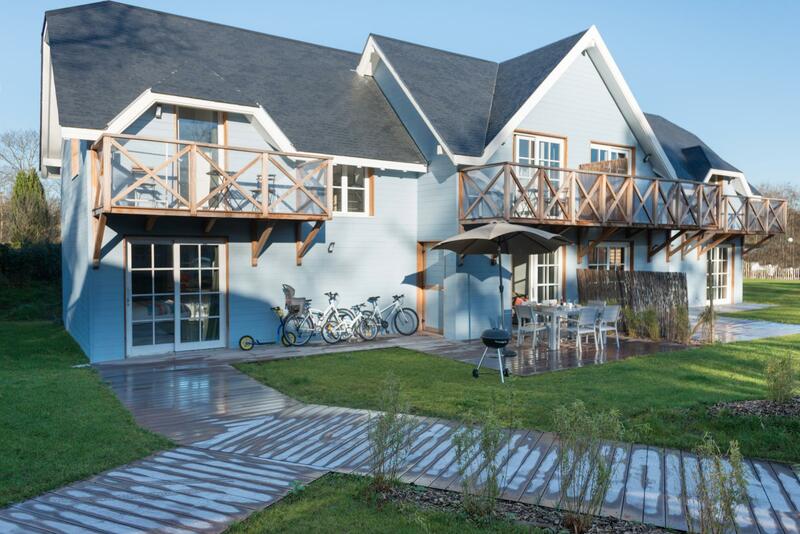 Choose the Domaine de Diane for an upmarket holiday on the Picardy coast! 7 new villas (130 sq.m.) with every modern comfort for an enviable lifestyle. Living room with open-plan kitchen and bar table (for that holiday feeling), exotic wooden deck with direct access to swimming pool reserved for sole use of villa occupants!|Absolute privacy assured with 3 spacious bedrooms, each with its own en-suite bathroom (walk-in shower) & WC. Beds made before you arrive and towels lay ready! Domaine de Diane villas are perfect for all your holidays, with friends or family!